Gaucher Disease is an autosomal recessive disease and the most prevalent Lysosomal Storage Disorder (LSD), with an incidence of about 1 in 20,000 live births. Despite the fact that Gaucher Disease consists of a phenotype, with varying degrees of severity, it has been sub-divided in three subtypes according to the presence or absence of neurological involvement. It is also the most common genetic disease affecting Ashkenazi Jewish people (Eastern, Central and Northern European ancestry), with a carrier frequency of 1 in 10 (Dr. John Barranger and Dr. Ed Ginns 1989). This panethnic disease involves many organ systems, such as liver, spleen, lungs, brain, metabolism and bone marrow. Gaucher Disease results from a specific enzyme deficiency in the body, caused by a genetic mutation received from both parents. The disease course is quite variable, ranging from no outward symptoms to severe disability and death. Carrier status can be detected through blood or saliva to identify potential carriers of the Gaucher gene. Gaucher disease can be diagnosed early through a blood test. Fortunately, effective treatments are available for some variants of the Disease. Gaucher (pronounced “go-shay”) Disease is a genetic disorder, which results in the deficiency in an enzyme, causing a portion of old cells to be stored in areas such as the liver, spleen, lungs, lymph system, and bones instead of being expelled from the body. In more severe cases, which affect young children, they also accumulate in the central nervous system. The human body contains specialized cells called macrophages that remove worn-out cells by degrading them into simple molecules for recycling. This process is analogous to eating and digesting food. The macrophages “eat” worn-out cells and degrade them inside cell compartments called lysosomes that serve as the “digestive tracts” of cells. The enzyme glucocerebrosidase (pronounced “gloo-ko-ser-e-bro-si-dase”) is located within the lysosomes and is responsible for breaking down glucocerebroside into glucose and a fat called ceramide. Gaucher cells most often accumulate in the spleen, liver, and bone marrow. They may also collect in other tissues, including the lymphatic system, lungs, skin, eyes, kidney, and heart. Frequently, an organ that contains Gaucher cells becomes enlarged and does not function properly, resulting in clinical symptomsassociated with the disease. Providing there is no central nervous system (brain) involvement, Gaucher Disease is referred to as Gaucher Type 1. 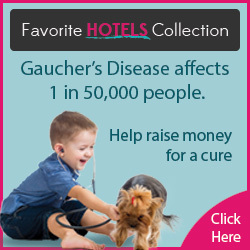 Individuals of all ages can be affected by Gaucher Disease Type 1. In Type 2 and Type 3 Gaucher Disease symptoms generally appear in infancy, or early childhood. Unlike Type 1, the central nervous system (brain) is affected. This can manifest itself with abnormally slow eye movements, unsteadiness, swallowing problems, seizures, among other symptoms. Neurological involvement will range from minimal to severe involvement. Central nervous system involvement is significantly more debilitating, and in many cases, causes death.